Want a job flying drones? We want you! 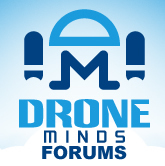 Discussion in 'Drone Aerial Photography and Video Companies' started by Suave, Oct 15, 2015. Suave air photos are hiring Drone pilots, if you are interested contact peter@suaveairphotos.co.uk we would love to hear from you!! Hmm, how much would a pilot/photographer get paid per job or per hour? What gear is required as a minimum? DSLR? DJI Phantom III?